West Linn beaver removal is a common problem that we are called about because of the water and rural areas throughout the city. When dealing with beaver control problems in West Linn the location and activity of the area is important. There are different methods to solving beaver problems and usually we need to inspect the property before knowing what the best method will be. If you notice chewing on trees it is important to solve the problem before they fall especially if it is near your house or other buildings. Beaver's teeth never stop growing which is why they must constantly chew on something. So the damage will never stop and we have seen many jobs that they have ripped off wire the was wrapped around the base of trees. If you think you might have a beaver problem give us a call and we can discuss what the best solution might be. 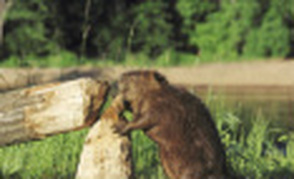 For West Linn Beaver Removal Call 503-201-2432 Today!